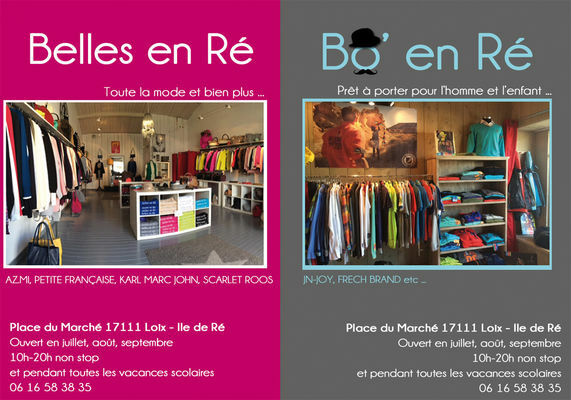 Belles en Ré and Bo' en Ré are two prêt-à-porter shops on the market square of Loix: clothes for men, women and kids. Open during school holidays, as well as in July, August and September, from 10am to 8pm. Novelties 2016: the new prêt-à-porter and decoration brand "yaya". There is no review about Belles En Ré & Bo' En Ré, be the first to leave one !